Wow, what a haul! 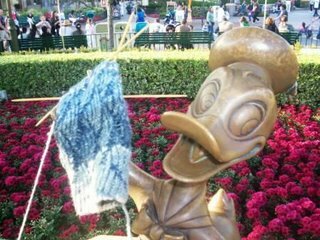 I can't wait to see how this spin/knit up! Wow, I needed a moment to catch my breath before commenting. 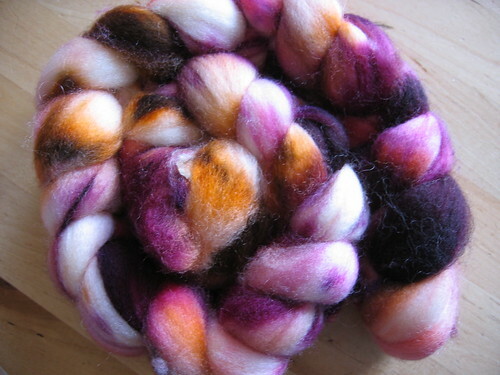 Awesome fibers! Aah, polwarth! I knit a hat out of some yarn I got at SOAR two years ago (it's awesome), and I still have a skein of powarth-silk that just begs to be made into a scarf, so I know exactly what you're talking about! I love the 'thraven' black and green. Ravens carry every color, if one cares to look close enough. Can't wait to see your jacket. I started one of my sweaters last night. 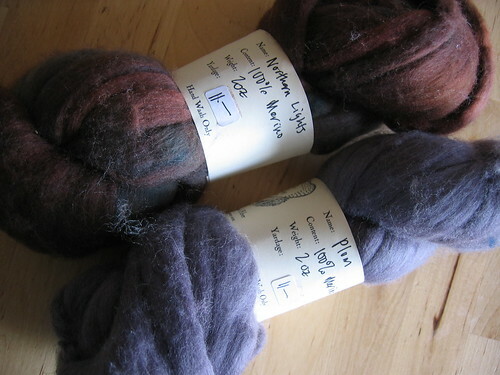 Not really my color, but for $1/skein (clearance on discontinued yarn), who can pass up a $14 hand knit sweater?! It sounds like it was a wonderful weekend! It sounds like a fantastic trip! What amazing fibres you brought home! It will be great to see how they spin up. I'm on the East Coast so this was never going to be on my agenda but boy am I envious. All the fiber you got sounds amazing. 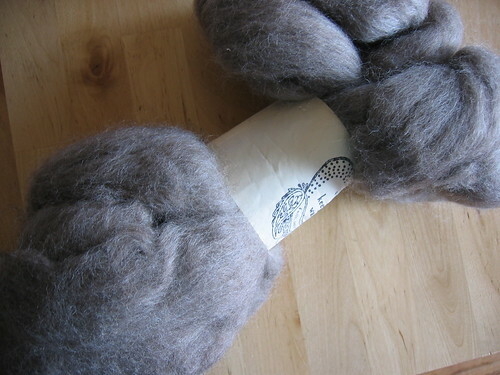 And I'd never heard of the California Red sheep before, but I just bought some of their roving to see how it spins up. Thanks for the tip! A! Your purchases are gorgeous! I have bad news for you. 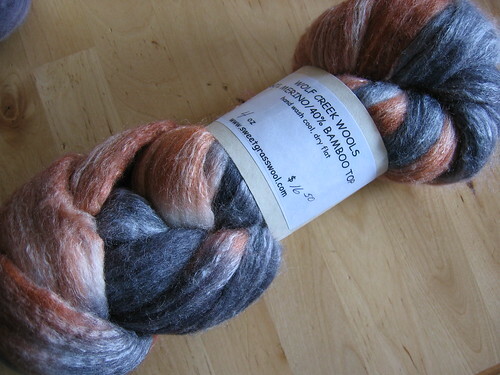 I have more Polwarth in exactly the color you purchased! 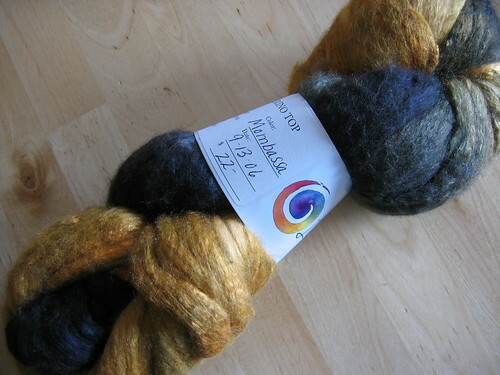 After all the hard work that went into Stitches, the one gift I am giving myself is Polwarth. 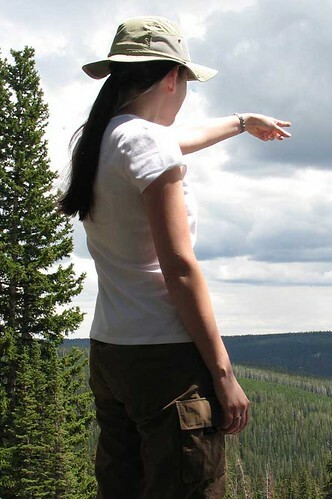 And, more importantly the gift of time to spin it. 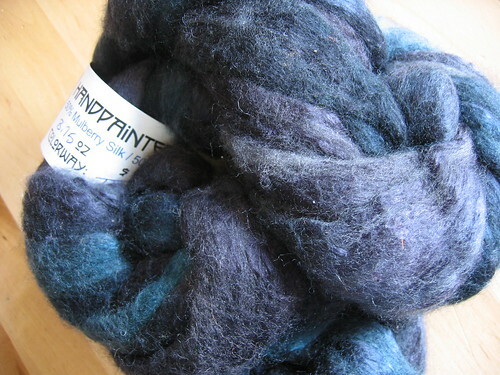 Like you, it is my dream to spin and knit a polwarth sweater. p.s. Yes! That is the sheep's natural color. That's it! I'm going next year!